Nuori is a young and modern eco-luxe Danish brand with a distinguishable range of skin and body care products. Jasmi Bonnén, the founder, has had a long-time experience in the skincare industry (including working at l’Oréal), before deciding to start her own line centered around active ingredients that would not be weakened by time-related breakdown, yet free from synthetic preservatives, colorants and fragrances. Before jumping right into my thoughts and experience with the products, I have to say that I’m very fond of the crisp, modern and practical design, clearly remininscent of Scandinavian esthetics and in perfect harmony with the message behind the brand that is providing freshly-made cosmetics. In organic and green skincare and cosmetics, the aspect of preservation and freshness is central, as many organic and “natural” products, which are commonly free from, say, ”conventional” preservatives, can spoil easily. Nuori’s concept is as follows: their products are freshly blended in small batches every twelve weeks before being bottled up in protective packaging which minimizes exposure to air, light, bacteria and mould before and during use, to help preserve maximum efficacy. I’m a big fan of Nuori’s transparency regarding that aspect: each product is stamped with two – visible – dates, namely the ‘Start-Using-By-Date’ and ‘Expiry’ date. For instance, on my body oil, it said that I should start using it in May 15 (which corresponds to the time I used it), while the expriy date is in August. So you usually have 3 months to use them up to benefit from their freshness and subsequently their efficacy. The ‘Start-Using-By Date’ is set to 12 weeks after a product has been made – after this day the product will no longer be sold from the store, which I find brilliant, because this is helpful not only for the consumer but also for the stockists. I was beyond excited for this one. Everything with fruit enzymes (in this case, pomegrante enzymes) appeals to me because of their anti-inflammatory and mild exfoliation properties. I don’t often use foaming cleansers, so I was also curious to see how my skin would react to them (skin guinea pig alert hehe). For info, I have oily – not combination, straight oily and prone to blackheads – skin and while it luckily did not strip out all the oils on my skin, I still feel like dry and dehydrated skin would have to watch out when using it, even though it contains oat kernel, glycerin and oils to counteract drying effects and combrat irritation. I’m aware that the use of glycerin is polarizing: applied topically pure glycerin can be drying. Also, plant-based glycerin is not alcohol-based, unlike synthetically-manufactured glycerin. I never had a bad esperience with plant-based glycerin. Now before I tell you how I got on with the cleanser, I’m just sharing a few information about Cocamidopropyl Betain: coconut derived, it is commonly used as a surfactant and foaming agent and there are different opinions regarding this specific ingredient. While using this product, I did not experience any issues, however Cocamidopropyl betaine has been reported by some as an allergen and being potentially irritant. According to Truth in aging, this is most likely a result “of the manufacturing byproducts amidoamine and dimethylaminopropylamine, two impurities commonly associated with skin sensitization and irritation. However, studies have shown that coco-betaine’s potential for dermal allergies and irritation can be avoided if the byproducts are low and tightly controlled.” Bottom line, it all comes down to the quality in the manufacturing process, and from what I’ve experienced, I believe that Nuori does control everything carefully. Same applies for enzymes, which have to be carefully manipulated as they react to temperature and their environment otherwise they lose their potency. Since it also contains photosensitizing oils from the citrus family (sweet orange, lemon peel oil), I prefer to use it in the evening. You surely can use it as a morning cleanser if you follow up with some sun protection. Used as a single cleanser, my face felt clean, but even though I didn’t have a tight feeling after washing my face, I felt the need to follow up with a face oil/serum. It’s not a harsh detergent but this is not a cleanser I’d use in the winter for instance, I’d still favor balms. The Vital foaming cleanser is something I can definitely use after a gym workout. One pump is enough and after 30-60 seconds, I rinse it off with tepid (not warm as it can be irritating) water and I’m done. It does a great job to clear pores and remove built-up the sweat and grime. Another was of using it, is as a second cleanse. More precisely, after using Old Orchard Turmeric oil cleansing cream, the combination is just superb. My face feels balanced and within several days of doing this combo, my skin looked clearer and brighter. So to me, the Vital foaming cleanser really shows its performance after using a rich balm/oil cleanser first. This is how I get most benefits from it. Since it comes in a lightweight 100mL bottle, it is also convenient to carry for travellers. The perfecting body oil is a luxurious, decadent product for silky soft gams. Enriched with skin-replenishing grapeseed oil, avocado, apricot kernel and rosehip oils, it penetrates deep into the skin and provides long-lasting moisture, while leaving a glossy sheen. The subtle mandarine scent is lovely, not overpowering, just the right amount to please all. It’s quickly absorbed, with a non-staining and non-greasy formula. My skin feels and looks instantly soft and moisturized. It can be used on both dry and wet skin (after shower/bath), I’ve enjoyed the results in both cases. My only reservation is the oil-dropping system which dispenses one drop after another, so I have to shake the bottle a few times to get the proper amount of product. In a way this does prevent any risks of spillage if you drop the bottle, so I guess you can’t have it all haha. I’m guessing this could also be used as face oil in the evening for dry skin, (if not sensitive to essential oils that is) as it’s rich yet quickly absorbed. One to two drops will largely suffice to cover the entire face and neck area. As good as it looks. A green alternative to Vaseline, since creates a aprotecting coating and keeps lips hydrated, soft and plump. I really like the pointy squeeze dispenser because you’re not dipping your fingers in a pot and you only need a tiny amount to use. The consistency is gel-to-oil and feels very comfortable on the lips. It has no strong scent/taste, a hint of Vanilla is noticeable. I can even use it on my nails/cuticles because it’s rich. I carry it in my bag and I apply it liberally, it really keeps dry lips at bay. My only “critique” remains the price which I do find rather high, especially after looking at the ingredients: most of them are very common in lip balms/treatments, so I don’t really see the “it” element that justifies the price tag (other than the design, but it’s not enough). 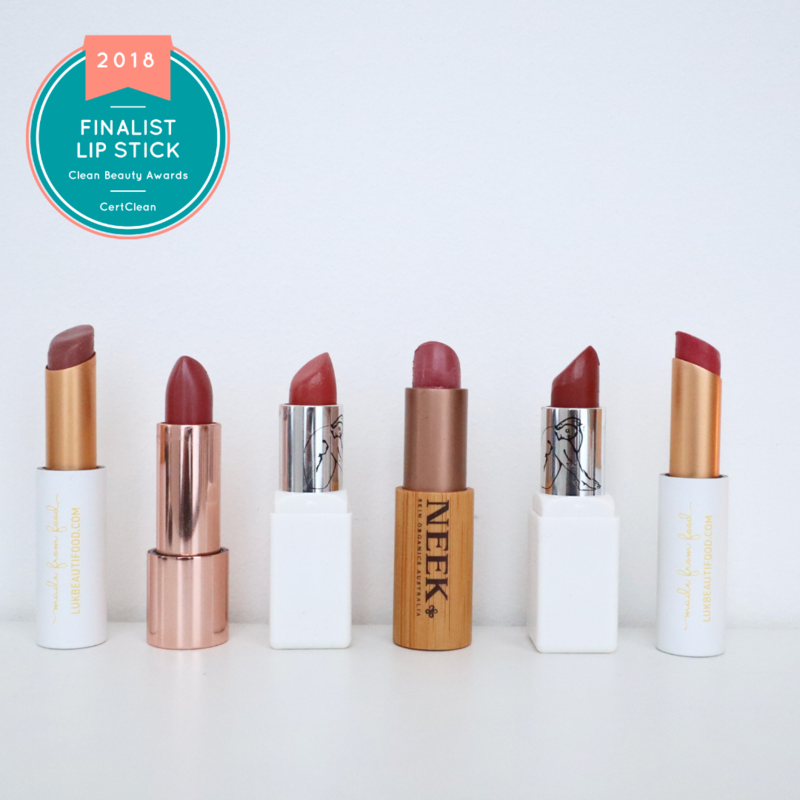 If you want to treat yourself to a high-end lip balm, then the lip treat is right up your alley. Also, the first emollient ingredients – “olus oil” simply refers to an oil of vegetable origin, as an alternative to mineral oil. Olus oil consists primarily of triglycerides of fatty acids. Ingredients: Olus Oil (plant origin), Shea/Butyrospermum Parkii Butter, Beeswax/Cera Alba, Sweet Almond/Prunus Amygdalus Dulcis Oil, Apricot/Prunus Armeniaca Kernel Oil, Avocado Butter/Hydrogenated Avocado Oil, Japanese Fruit Wax/Rhus Verniciflua Peel Cera, Canola Oil, Cocoa/Theobroma Cacao Seed Butter, Vitamin E/Tocopheryl Acetate, Vitamin E/Tocopherol, Vanilla/Vanillin, Peppermint/Mentha Piperita Oil, Limonene*, Citric Acid, Fragrance/Parfum*. *From 100% natural vanillin and peppermint oil. 98.95% of ingredients of natural origin, 1.05% of ingredients nature-identical. Overall, my impression is really positive, I wholeheartedly applaud their concept of ensuring fresh cosmetics for their customers. I’d love to see more brands pick up this initiative, because this would avoid waste and risks of using outdated products. If I had to recommend only one product to try first out of the three, I’d say the cleanser (at the condition that you are not sensitive to any of its ingredients of course) because it really embodies the fuss-free and clean vision of Nuori. Plus it comes at a fair price, so if you enjoy it you can obviously get your hands on the rest of the range. Nuori is available on Green Soul Cosmetics (based in Italy, but they ship worldwide), where they also stock as Mel Mills, Josh Rosebrook, Tata Harper, Organic Pharmacy, Ilia Beauty, Mahalo, Leahlani, RMS Beauty, Kjaer Weis and many other fantastic brands. Have you tried Nuori? What do you think of their concept? Thanks so much for the awesome info! This stuff looks amazing and i love their packaging too! Have you or anyone heard of a company called Herban Nectar? 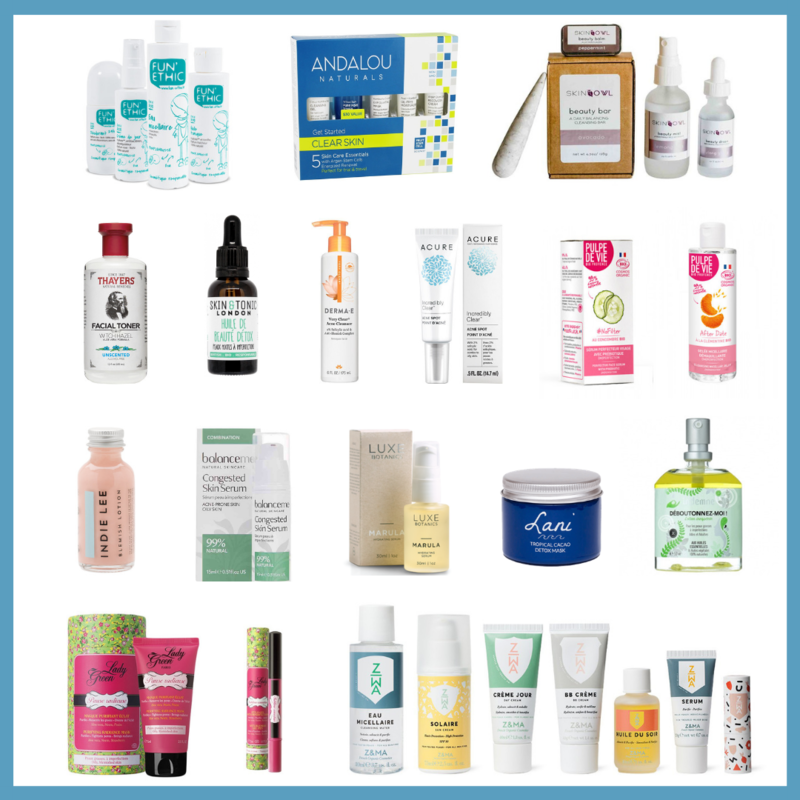 I’m hearing a lot of buzz about them as far as organic skin care goes but I think they may be new so i’m not finding them on any of these lists. I love trying new skin products but I’d prefer to see some reviews about it first. The website is http://www.HerbanNectar.com if anyone can give me some insight I’d appreciate it! No I hadn’t heard of it before. Thank you for the info.